(WACO) – Texas State Technical College’s Challenger Learning Center is ready to send students off on new adventures. 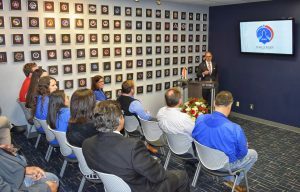 Lance Bush, president and chief executive officer of the Challenger Center for Space Science Education in Washington, D.C., visited the campus Wednesday to talk to administrators and give a presentation on the center’s future worldwide plans. Bush said when he visits centers and sees students performing experiments or working in Mission Control, he senses the excitement they have for space science. “Today’s students are tomorrow’s innovators,” Bush said. Bush said new programs the national office is rolling out will inspire students in new ways. The Aquatic Investigations program for third- to fifth-grade students and the Earth to Mars program for ninth- and tenth- grade students can be taught by teachers in classrooms using Challenger Center materials. These will be offered starting in the 2020-21 school year. The Challenger Center’s 43 locations in Canada, Great Britain, South Korea and the United States continue to offer a selection of eight on-site missions focusing on comets, Earth, Mars, satellites and other topics for elementary and middle school students. All of the lessons the Challenger Center offers to students are based on science data and align to current national education standards, Bush said. Bush said students start deciding their career paths by fourth grade, but about half of them give up their interest by the time they enter eighth grade. Hagman sees potential opportunities for the local center catering to older children and adults. The center honors the astronauts who died Jan. 28, 1986, when a booster engine failed on the space shuttle Challenger space shuttle launching from Kennedy Space Center in Florida. The initiative was founded later that year by the families of the seven astronauts tragically killed. 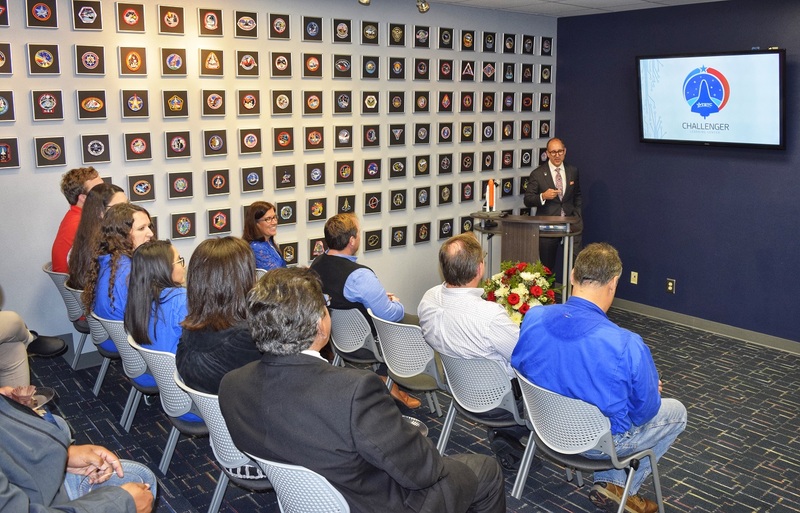 TSTC’s Challenger Learning Center held a public grand opening in September 2016 and hosted its first school groups in early 2017. The center is the third in Texas, joining locations at TSTC in Harlingen and in San Antonio. “The Challenger Learning Center at TSTC in Waco is a tremendous resource for STEM education for our local school districts,” TSTC Provost Adam Hutchison said. For more information on TSTC’s Challenger Learning Center, go to tstc.edu/challenger. This entry was posted in Waco on October 31, 2018 by Daniel Perry.